Having the ability to accurately capture an image’s color in-camera is a powerful one. How many times have you taken a photo and grown frustrated because your camera doesn’t capture it “the way you saw it?” Often we become resigned to shoot an image and fix it in post-processing later. Full disclosure: When I first started out years ago, this was my go-to strategy for images. Later, when I was forced to spend hours fixing image after image on my computer, I’d want to kick myself. Fast forward to today, and experience has taught me how to (usually) get a decent image in-camera. However, on occasion I still find myself overly-relying on my editing skills to fix my rushed images afterward. Deciding to give the Illuminati Meter a try was a game changer in terms of getting my image’s color spot on. While I’m generally hesitant to take on the task of learning how to use new equipment, this new light meter was an opportunity I couldn’t resist. 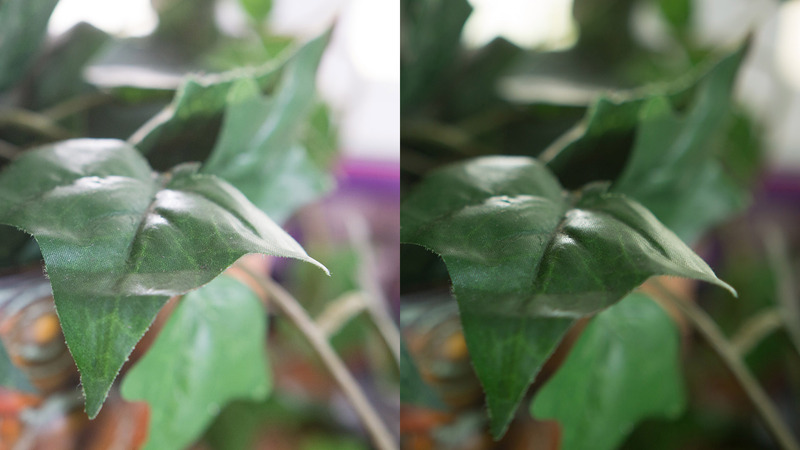 Let’s see how it did with two test images taken indoors. Comparing the two images: Which image has better color? Okay, first of all, let’s clear the air. Yes, the plant in the photo is fake. Having a penchant for quickly killing plants despite my best efforts, plastic ones are amazingly handy for my indoor decor. They also serve as great photo test subjects. Let’s compare the two images. The first one I simply set my camera on Auto and did not use the Illuminati Meter. Much better. The second image’s green tones are much richer and more true to the way my eye saw it. Note that the more accurate temperature reading was 5100k, and produced a better image when combined with the lower ISO and more sensitive aperture. Considering it only took an extra 75 seconds to turn on the Illuminati meter and get an accurate reading for both exposure and color, it’s a no-brainer that I’ll be incorporating it into my future workflow. And here’s the fun part: The possibilities are endless. The cool thing about knowing how to quickly get an image’s color spot on in-camera is that it gives you the power to apply a style you want to the image later on. Knowing the rules is important so you can break them later as you define your own personal style as an artist!